The class of chemicals, known as PFAS (perfluoroalkyl and polyfluoroalkyl substances), includes more than 4,000 individual chemicals with similar properties. PFAS don’t readily break down once they’re in the environment or human bodies, so they can accumulate in animal and human tissues. The compounds, used in products such as stain- and water-resistant clothing, nonstick pots and pans, firefighting foam, carpets and furniture, are linked to health effects including testicular and kidney cancers, decreased birth weights, thyroid disease, decreased sperm quality, high cholesterol, pregnancy-induced hypertension, asthma and ulcerative colitis. The state’s next public hearing on PFAS is scheduled for April 15. The chemicals are increasingly found in water supplies throughout the United States. In Pennsylvania, there are 20 known contaminated sites, including at least two in Southwestern Pennsylvania. Despite the widespread contamination and mounting evidence the chemicals are harming people’s health, the U.S. Environmental Protection Agency (EPA) has yet to set a Maximum Contaminant Level, or MCL, for the compounds. This has left states like Pennsylvania on their own to protect residents, who are waiting for action without knowing what potential exposure is doing to them or their families. “Delaying action to protect residents from harmful PFAS in drinking water until you can hire in-house researchers to reinvent the wheel on PFAS toxicity is absurd,” David Andrews, a senior scientist at the Environmental Working Group, a nonprofit that conducts research and advocacy related to environmental health, told EHN. 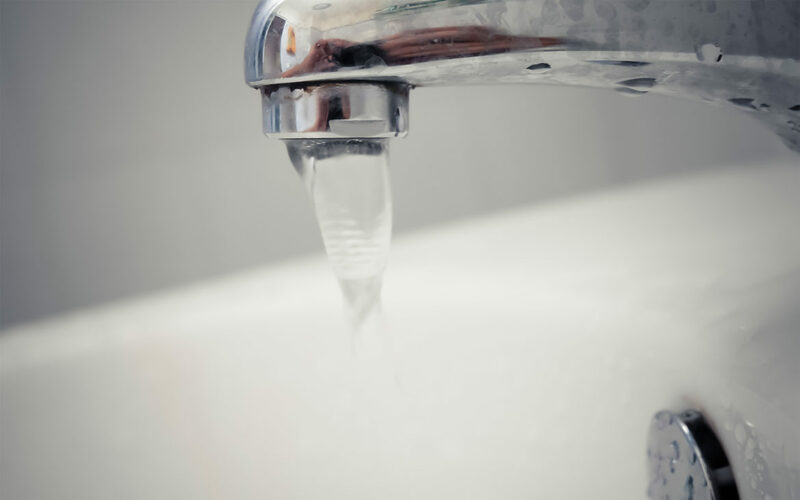 In the absence of federal regulations, Pennsylvania’s state government formed a “PFAS Action Team” in September 2018, and the state Department of Environmental Protection (DEP) announced plans to regulate the chemicals at the state level. “The DEP has never independently set an MCL before,” Elizabeth Rementer, a spokesperson for the Pennsylvania DEP, told EHN. Like many other states, Pennsylvania has always relied on drinking water standards set by the U.S. EPA instead. Rementer explained that in addition to this being the agency’s first time setting an MCL, the process is more complicated in Pennsylvania than it is in many other states. Pennsylvania’s Regulatory Review Act, passed by a conservative Legislature in 1982, requires state officials seeking to pass new regulations on everything from education to the environment to evaluate the economic impacts, conduct a cost-benefit analysis, and evaluate the impacts to small businesses for any new proposed regulations—even for those aimed at keeping toxic chemicals out of drinking water. “The inability of Pennsylvania to move forward ultimately reflects a failure of the federal EPA to provide leadership on analyzing the science and setting health-protective drinking water limits,” Andrews said. The Pennsylvania DEP is trying to speed up the process. They recently made plans to contract with a private toxicology consultant rather than hiring one full time, Rementer said. She added that the consultant will review and interpret existing scientific literature on PFOS and PFOA to help the department set a “legally defensible” MCL, but will not conduct any independent scientific research. The DOH will consult with the DEP regarding the health impacts of PFAS when it comes to setting an MCL. And unlike the toxicologist consulting with the DEP, the DOH’s scientists will conduct original research. Meanwhile, residents who’ve been impacted are pleading with state officials to take action more quickly based on what is already known about the chemicals. Some researchers feel there’s already enough scientific research on the toxicity of the most common PFAS for states like Pennsylvania to act quickly. Laurel Schaider, a research scientist at Silent Spring Institute with expertise in PFAS, said that while regulating PFAS as a class makes sense in some contexts—like restricting their use in firefighting foam and food packaging, as Washington state is doing—there are unique challenges when it comes to setting drinking water standards. The Silent Spring Institute is a nonprofit research organization that investigates the links between environmental chemicals and women’s health, especially breast cancer. “It is extremely important to acknowledge that the federal government is failing the states in this regard by not acting in its proper role to establish sound health-based drinking water standards,” Remnter, the spokesperson for the Pennsylvania DEP, told EHN. Kristina Marusic of Environmental Health News can be reached at kmarusic@ehsciences.org.